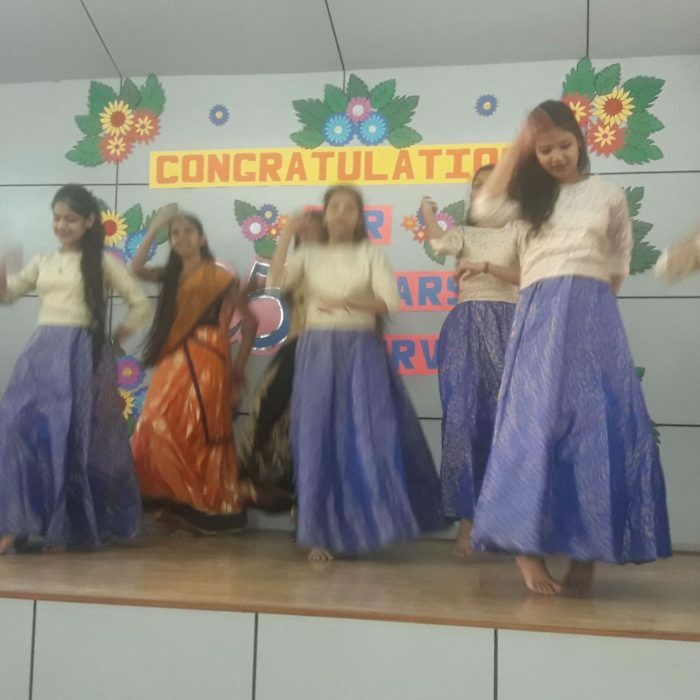 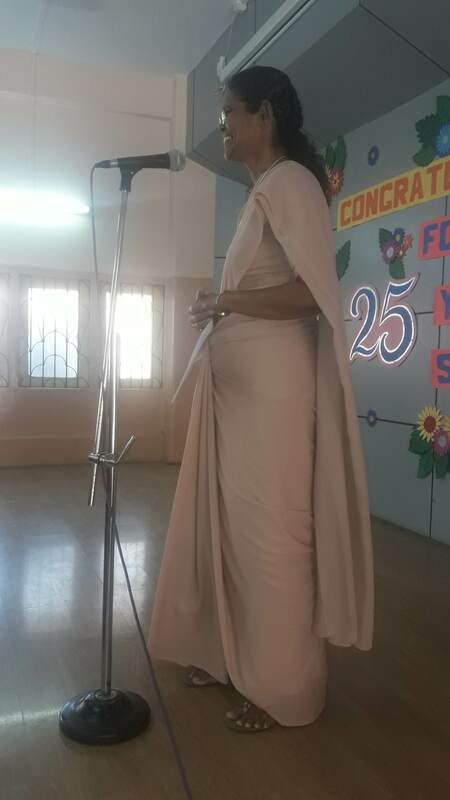 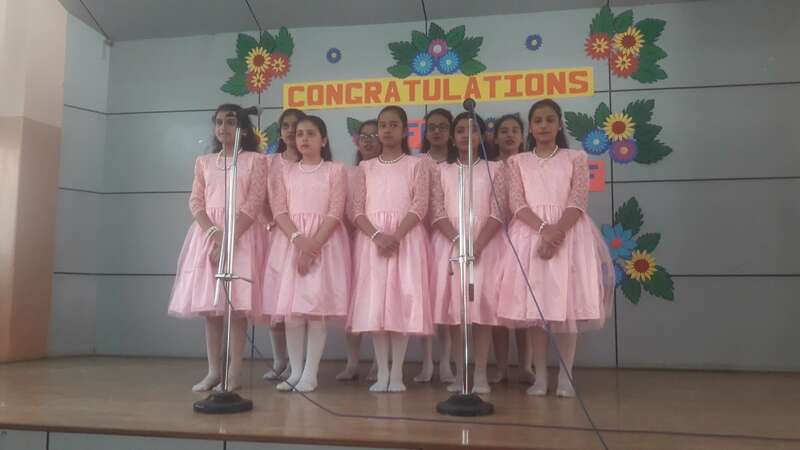 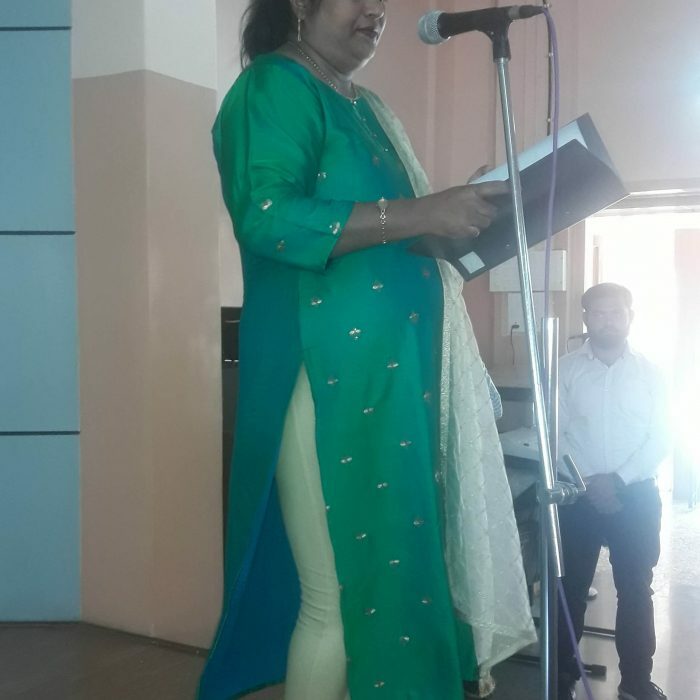 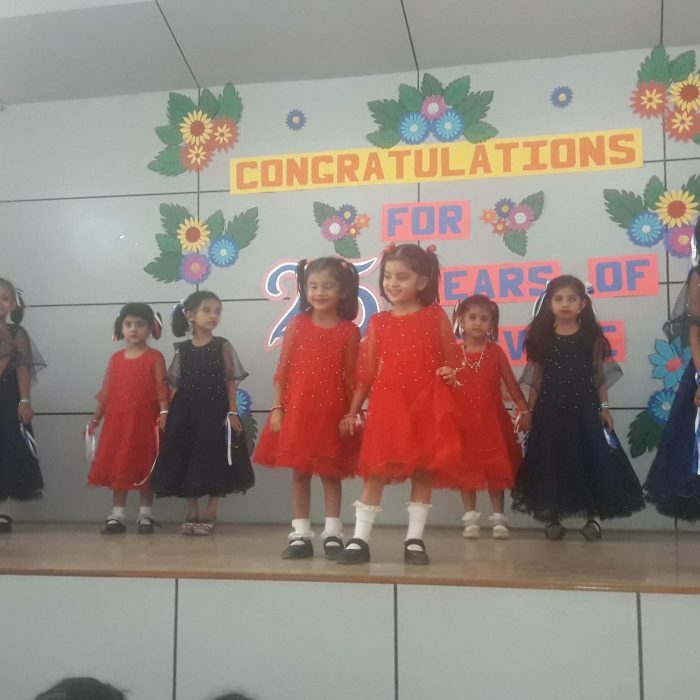 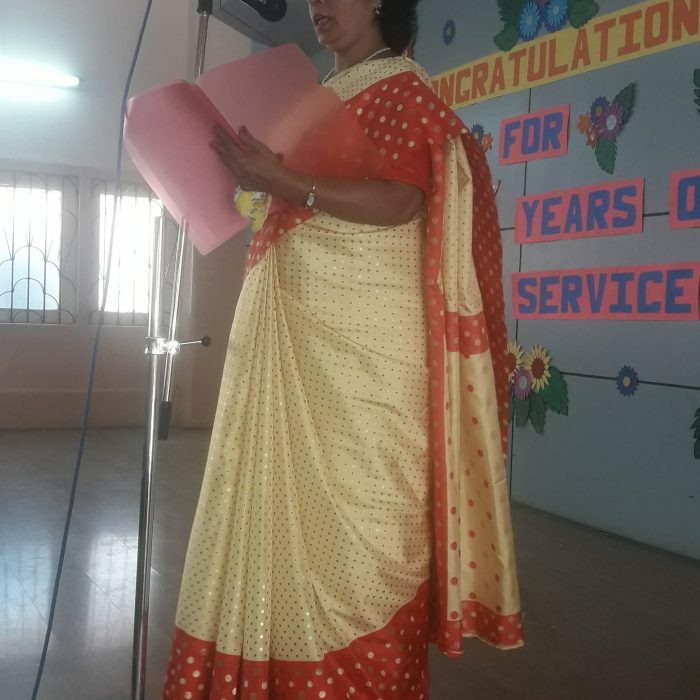 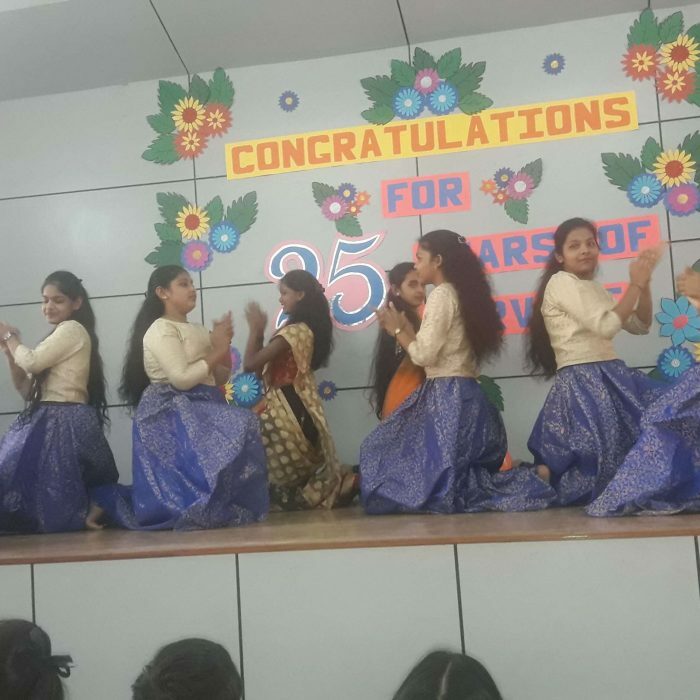 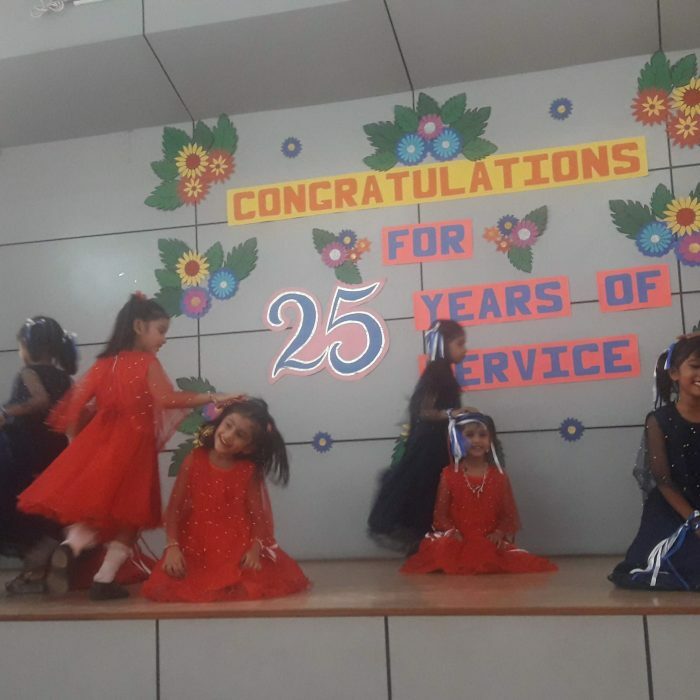 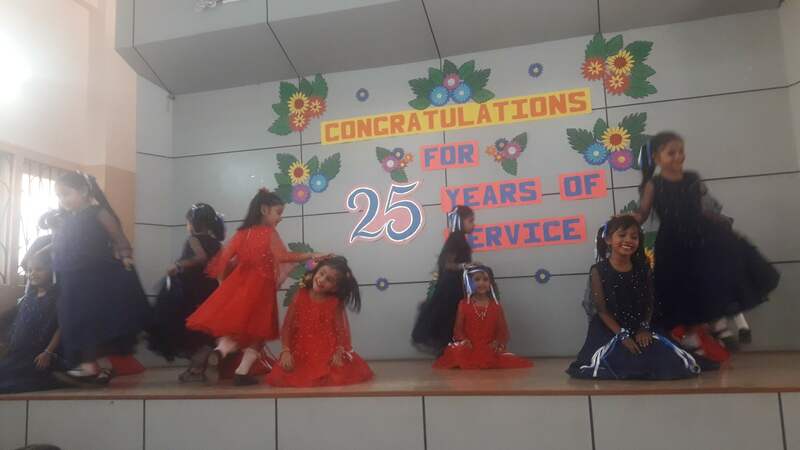 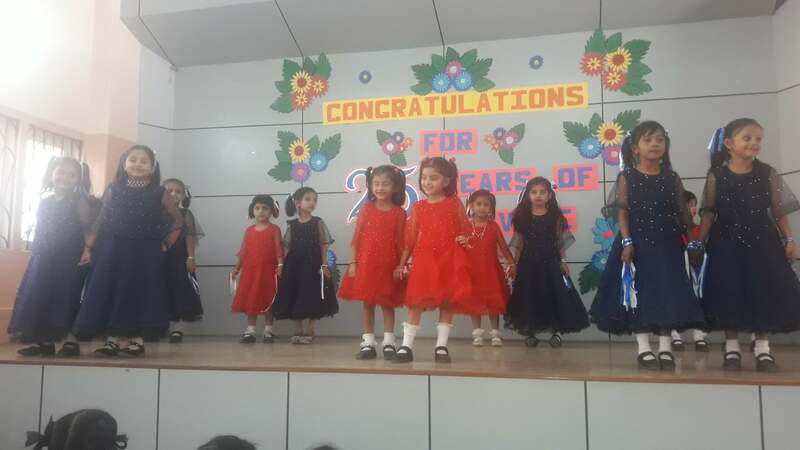 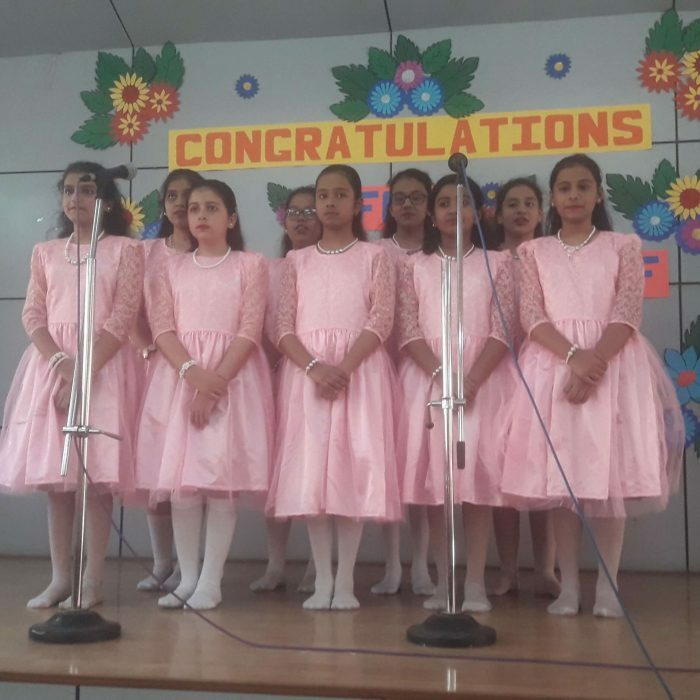 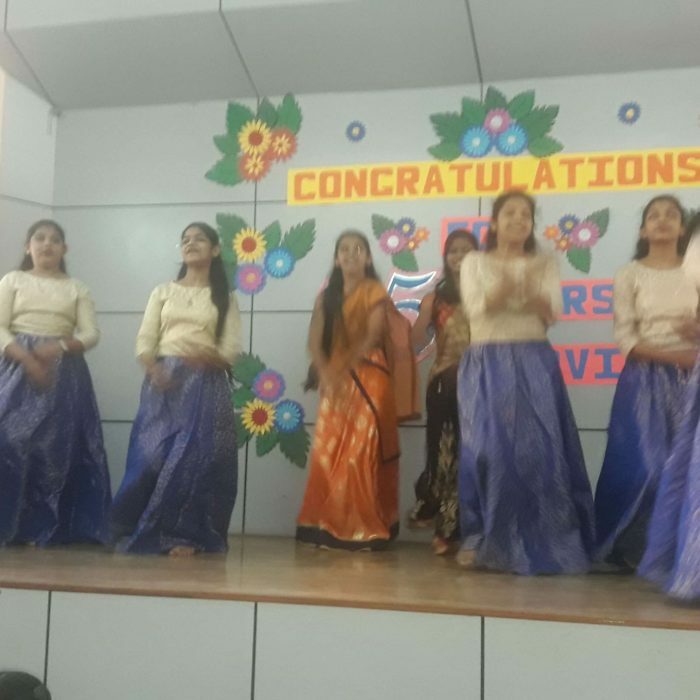 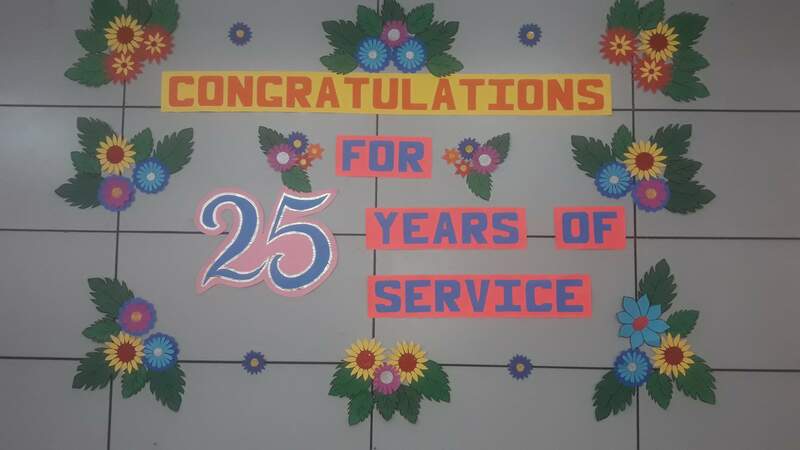 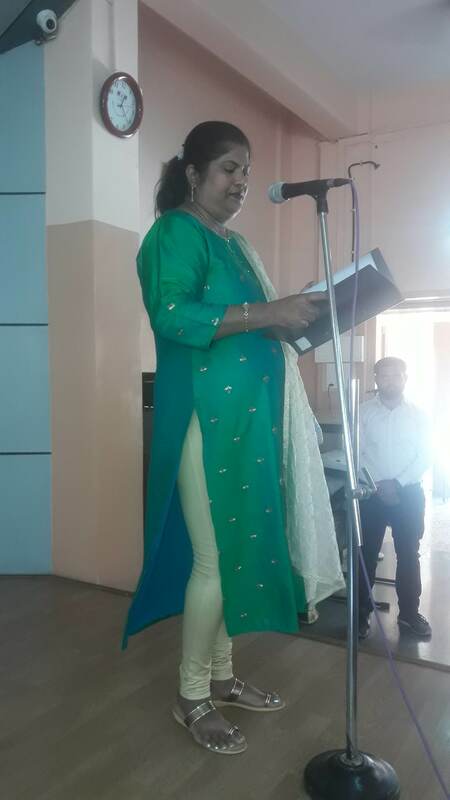 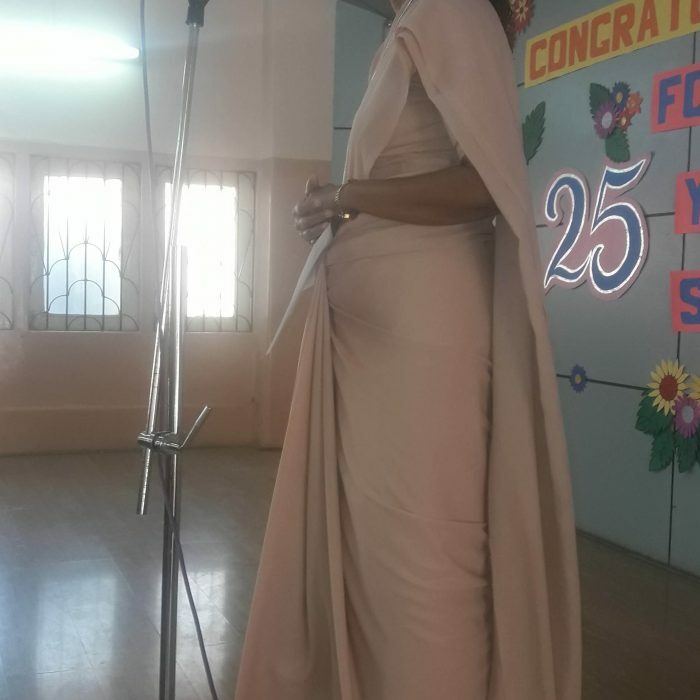 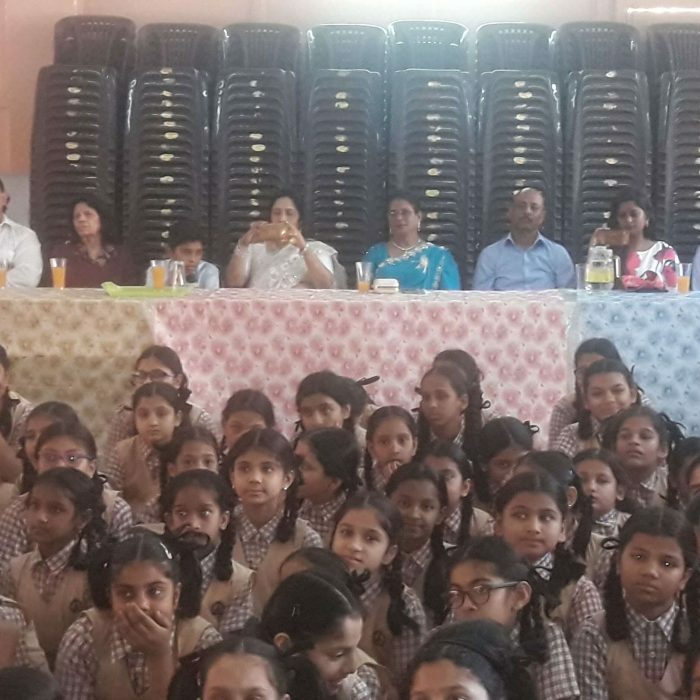 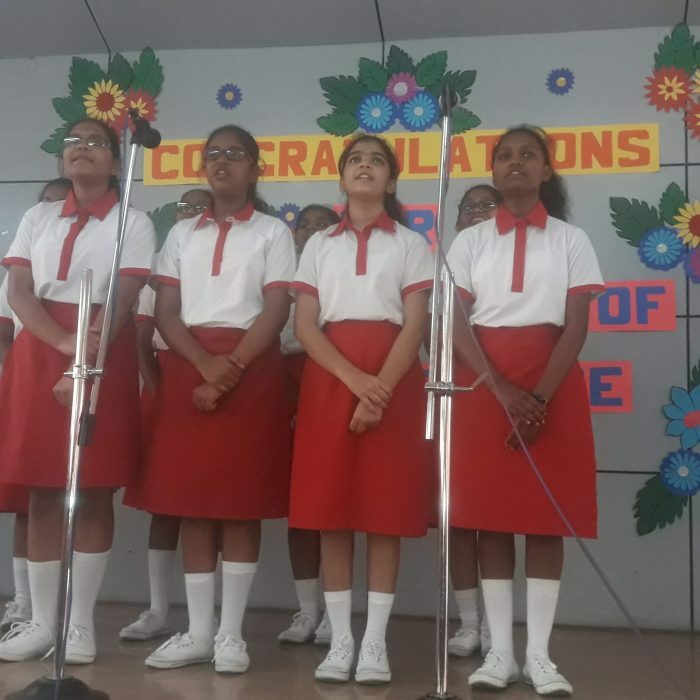 A special programme held on 19th March 2019 to felicitate three members of Staff on their completion of 25 years of service in the school. 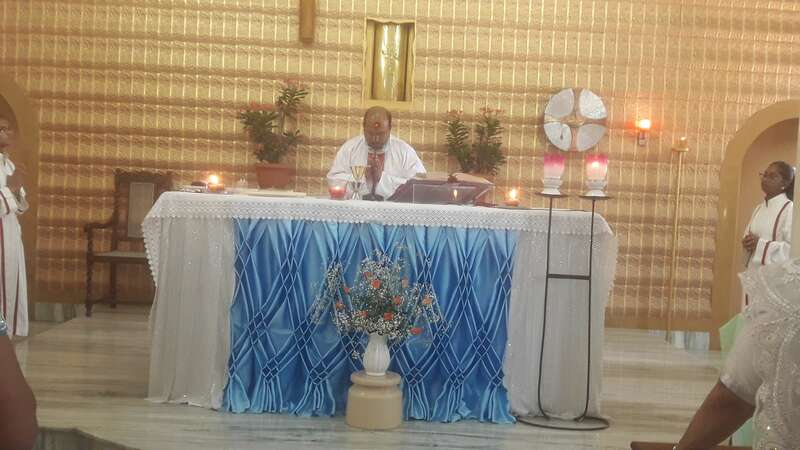 The day began with the Holy Eucharist celebrated by Fr. 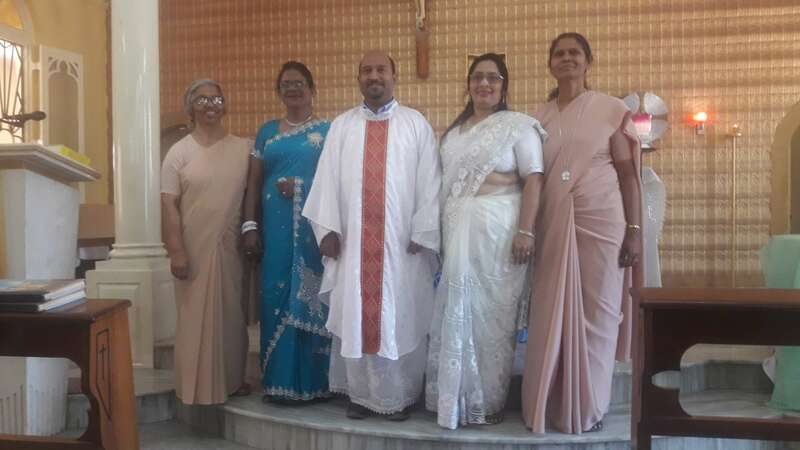 Salvador, later the Jubilerians were led to the St. Helen’s Hall. 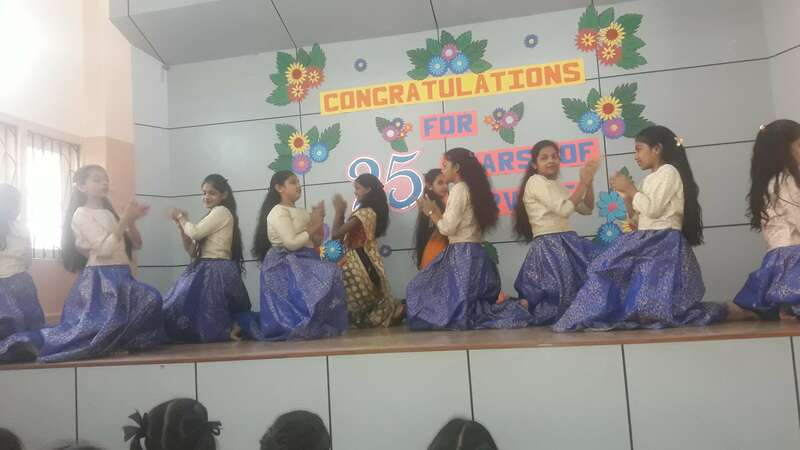 A cultural programme was staged in their honour. 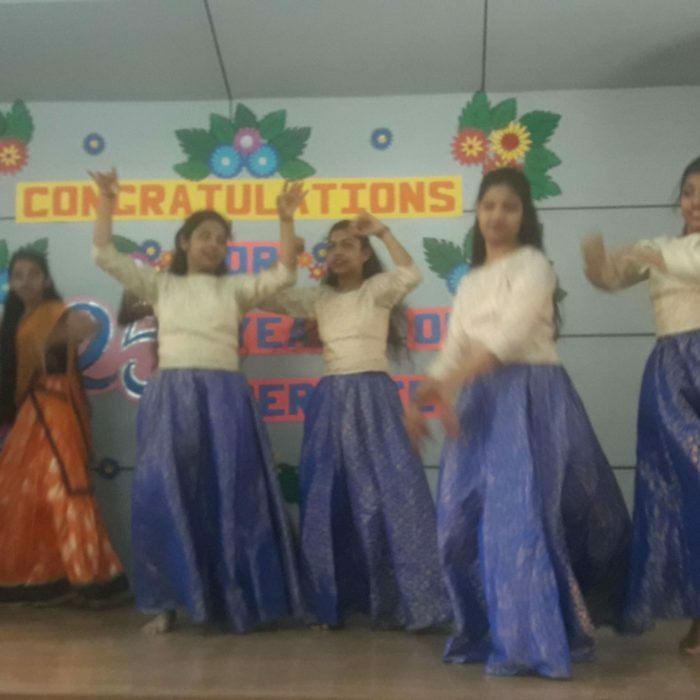 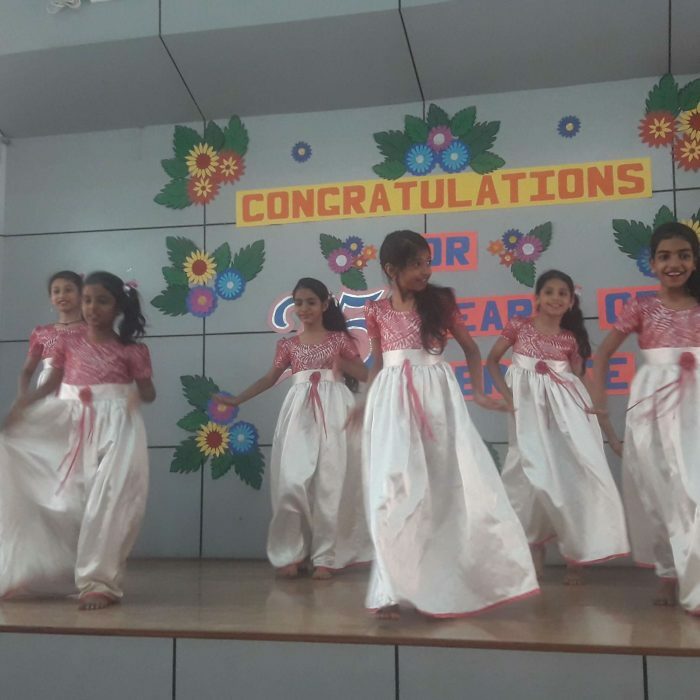 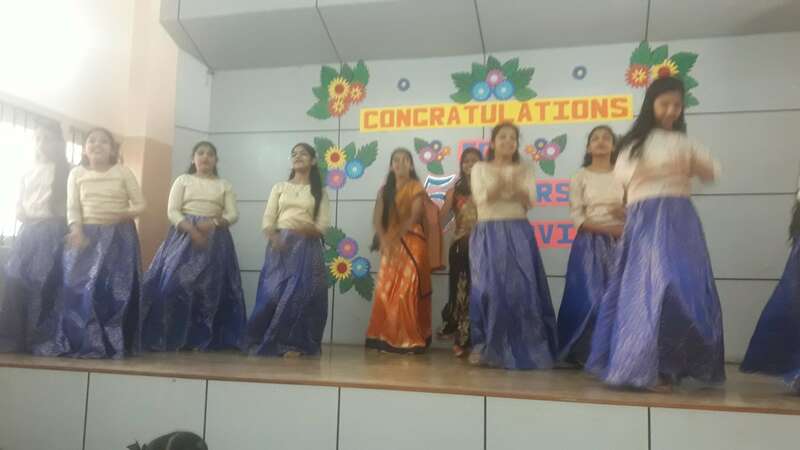 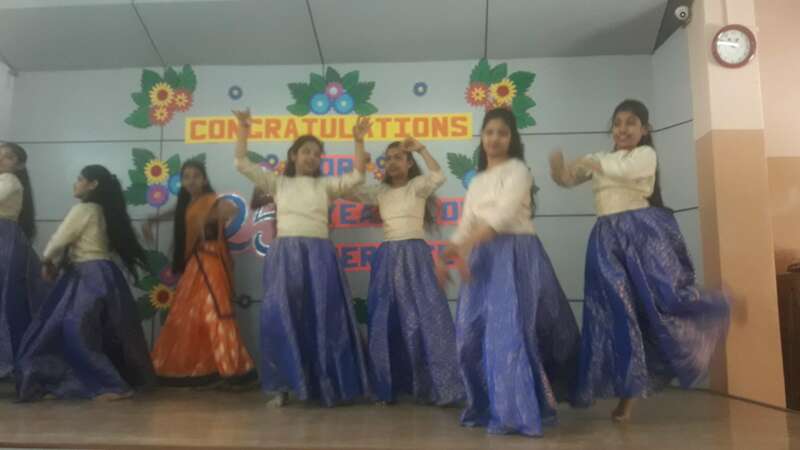 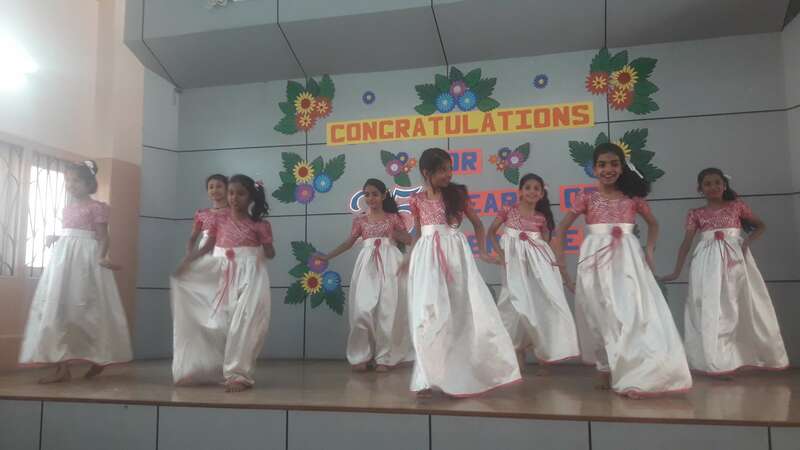 Speeches, songs, colourful dances by the students captivated the audience. 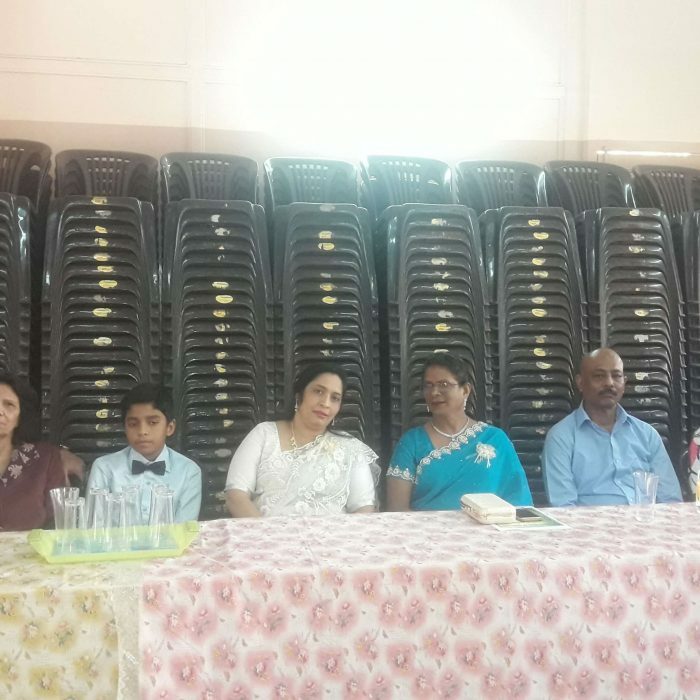 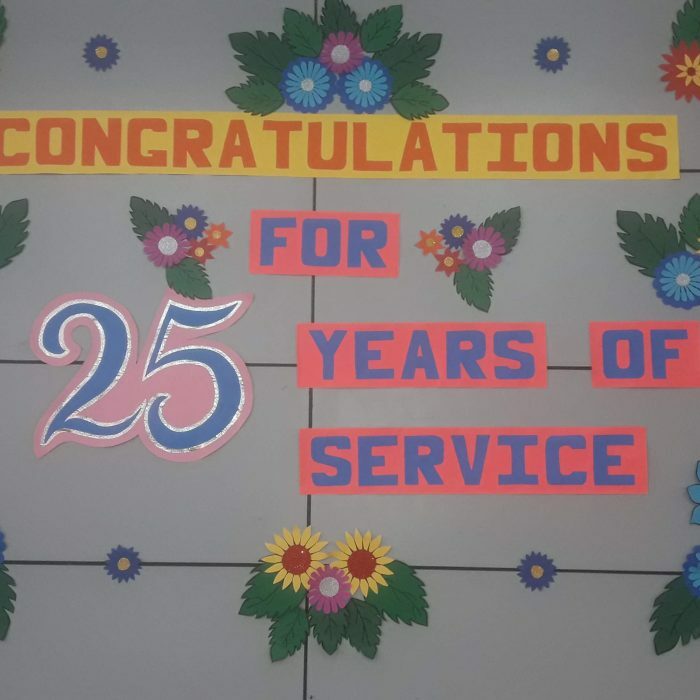 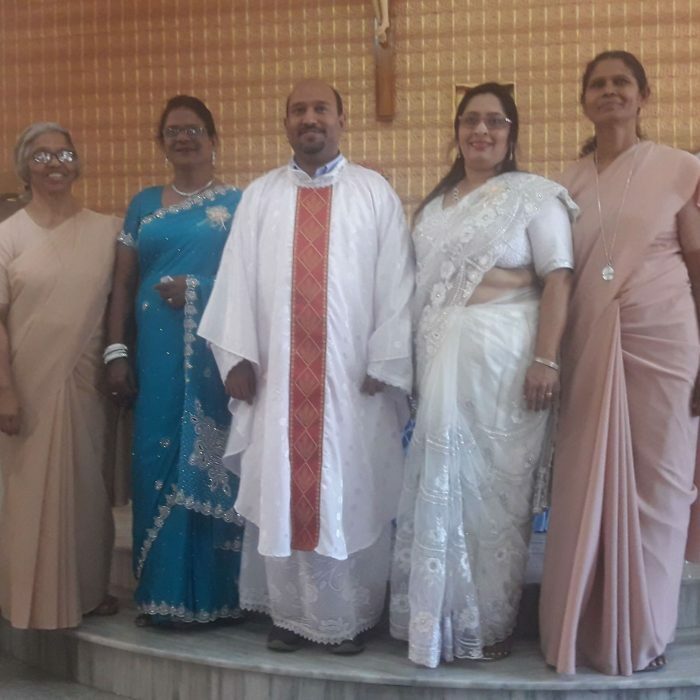 The jubilarians, Sebastina, Maureen and Mr. Sanjay were felicitated with flowers, bouquets and gifts from The Management, the Teachers and the PTA as a token of love and gratitude for 25 years of dedicated and loving service rendered in St. Anthony’s. 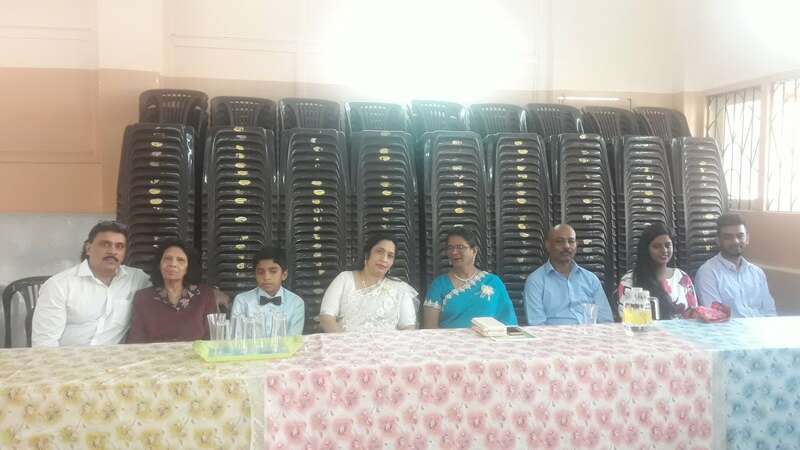 All the family members of our distinguished guests were present for the celebration. 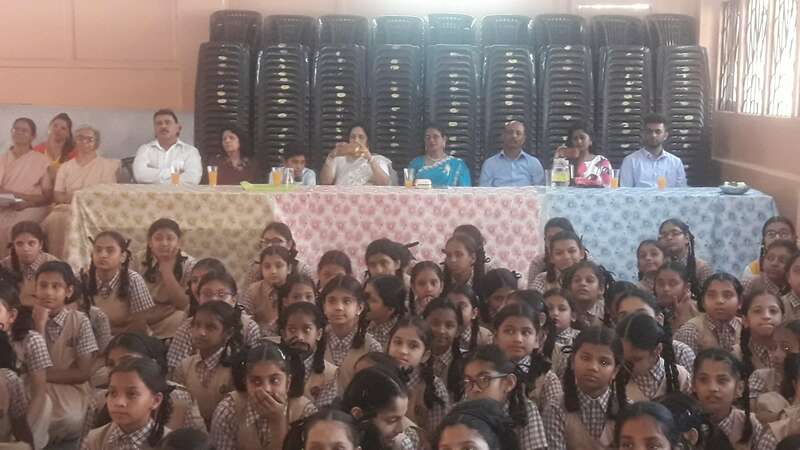 The programme was followed by lunch. 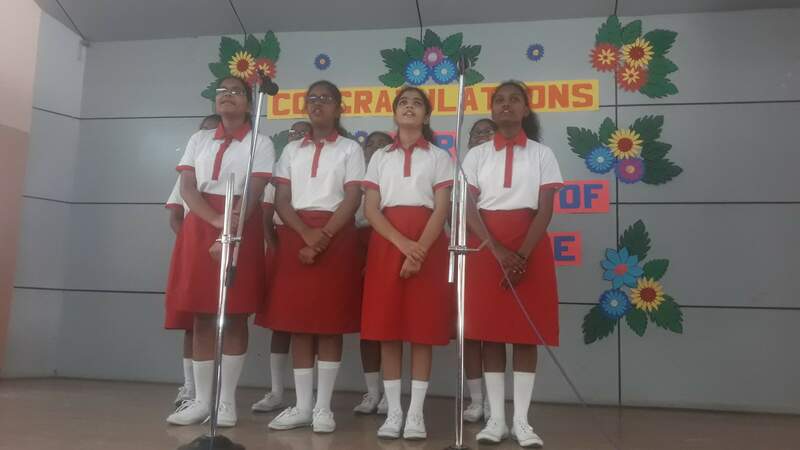 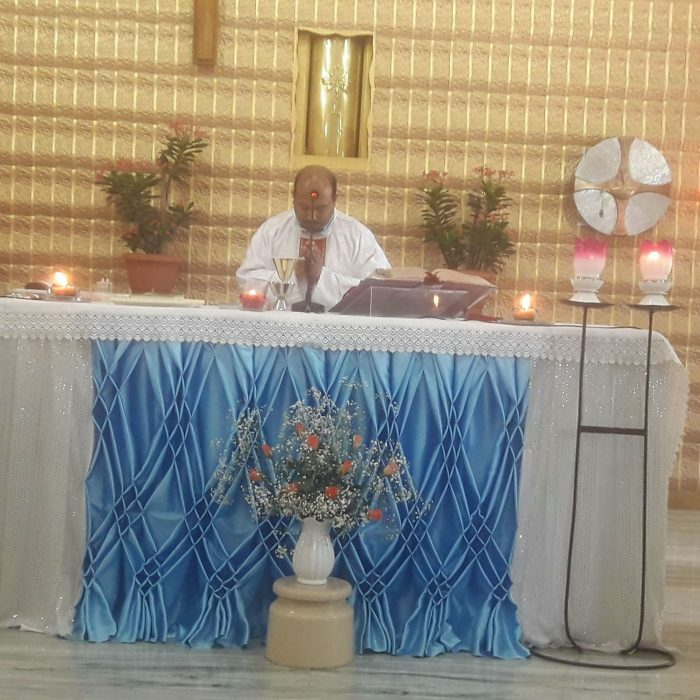 The jubilarians thanked the School for reposing faith in their abilities. 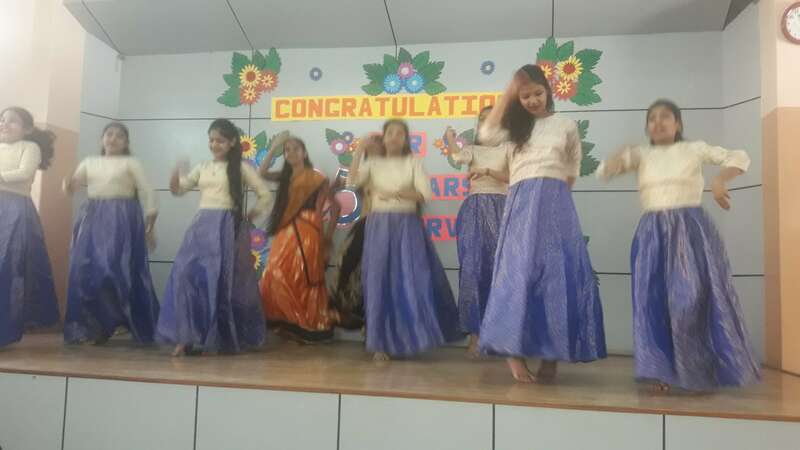 They appreciated the role of the school in enriching their lives. 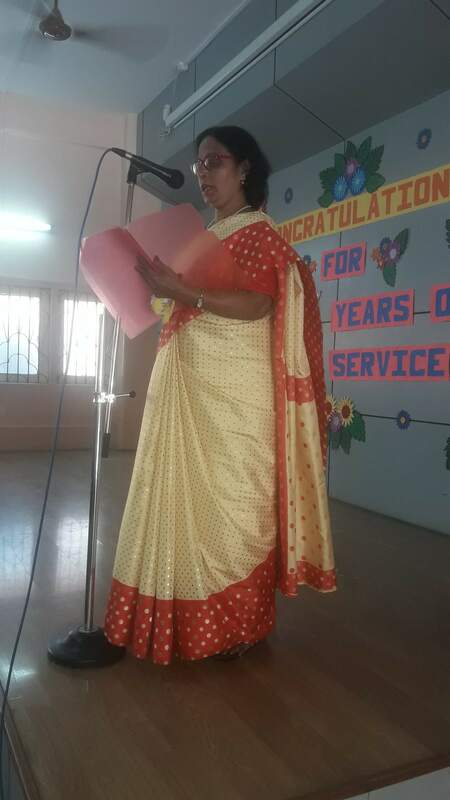 The teachers, highlighted the opportunities the school had provided to them to hone their skills as a teacher.